just another girl touring around looking for delicious food! 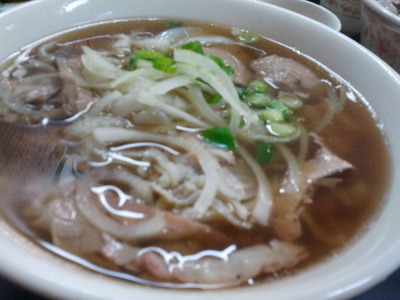 As a fan of many types of noodles, I never realised I missed out on an awesome restaurant selling pho in Flemington. If you don't know what pho is, you're definitely missing out. Pho is a delicious Vietnamese noodle soup containing thin rice noodles with mostly beef and is usually complemented with onions, shallots, bean sprouts, mint, lemon juice etc depending on each person's tastes. It is definitely a very versatile base soup that can be changed and adapted to your tastes. 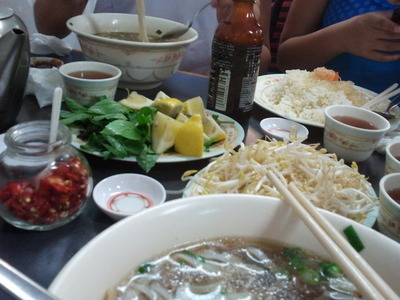 First thing I ordered was of course a combination beef pho including beef, beef tripe, beef balls and beef tendons. And although the soup may be on the plainer side for some, the light flavour that protruded from the soup felt really delicious to me, just like a slight touch of salt making it perfect for those not wanting anything too heavy in flavour. However, as I said before, this soup is rather versatile so any preferring a richer flavour, adding hoisin sauce would be a good choice. Here can be seen the additional ingredients you may add to your pho such as the bean sprouts etc and they also provide various amounts of chilli pieces, chilli sauce and other sauces as well fitting to many people's tastes, thus emphasising why this place would always have such a long line during lunchtime and all hours. 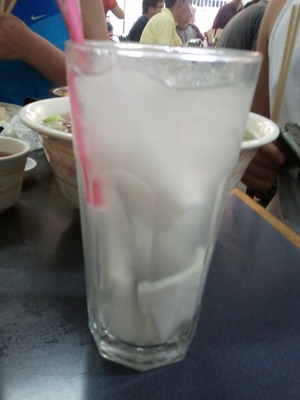 And as always, it's never possible to go by a Vietnamese restaurant without trying out their coconut juice. Or maybe that only applies for me, but I am a fan of coconut juice and have tried canned ones and all the like at different places and I felt that this restaurant's was actually rather nice. There have been many instances where I have been disappointed with the coconut pieces inside the drinks because they were hard but this one wasn't. They tasted quite tender, like hard as it is a coconut piece but it was also soft. It was really good. As for the coconut juice itself, it was really sweet, maybe just a tad too sweet but the coconut pieces were definitely just right. Overall, the coconut juice and the pho here are definitely a must try. And if you still have some more space in your stomach for more, I would recommend the crispy skin chicken here. You won't regret it.